Also noted at Auckland in the hangar was Airwork's Fairchild SA227-AC Metroliner III ZK-LFT which is now void of all Life Flight logos. 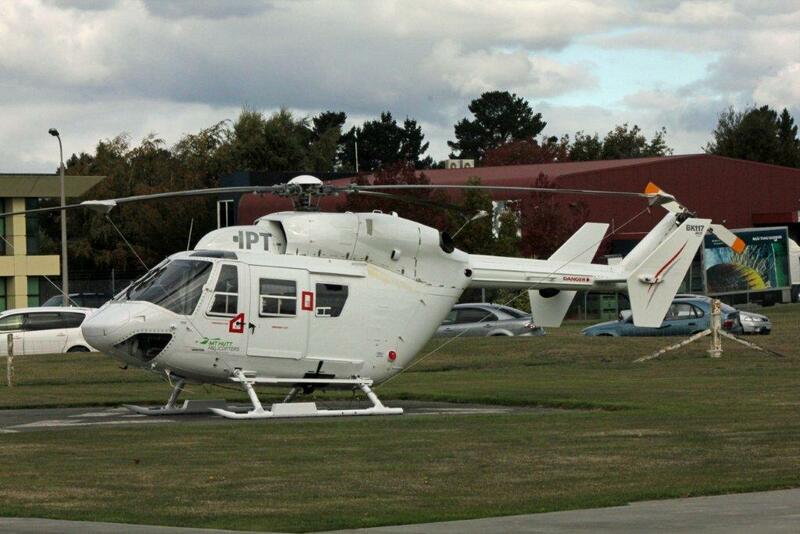 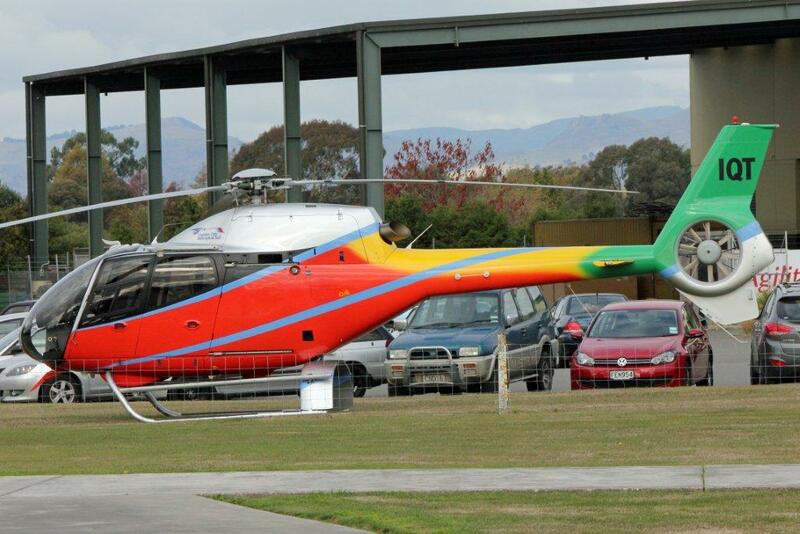 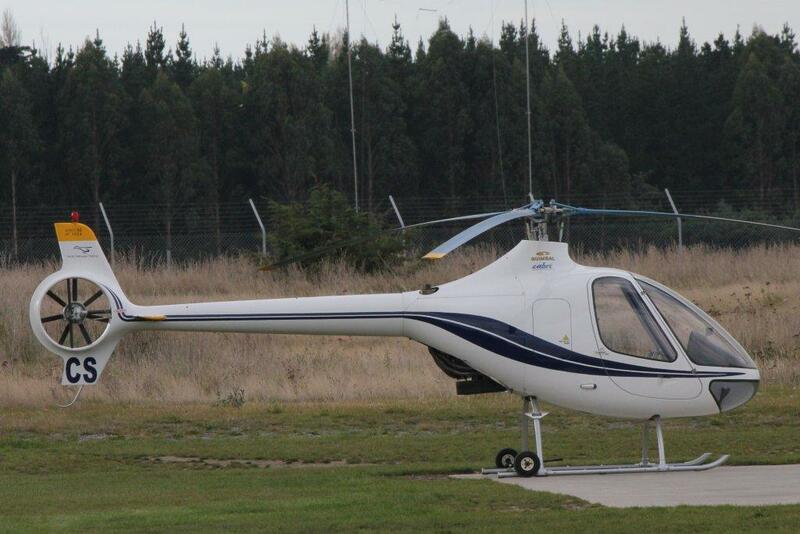 This photo was taken at Auckland on 28 July 2011 by S Lowe. 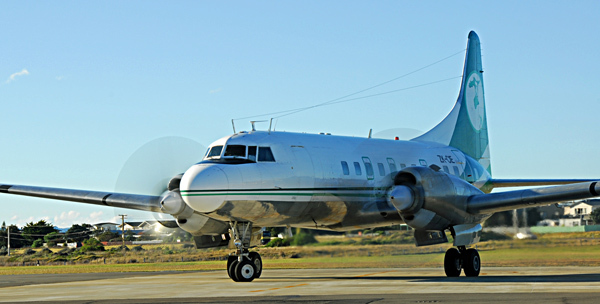 Air Chathams will operate its last flight to Napier today. 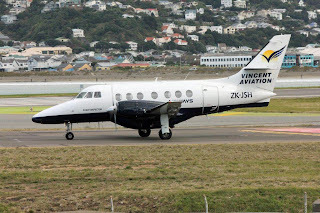 Air Chathams first introduced a scheduled service to Napier in October 1991 when Beech 99 ZK-CIB was used to offer a twice times weekly scheduled service to Wellington and a weekly service to Napier. Metroliners later operated the Napier service but with the introduction of the Convair in 1996 Napier was dropped. 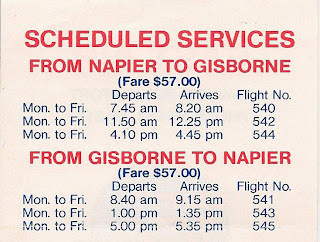 A Napier service, using the Convair, was reinstated on the 4th of October 2007 when Auckland was added to the airline's destinations. 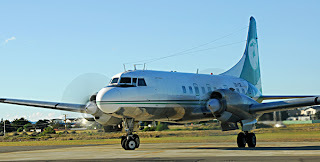 The Convair called into Napier on east bound flights to the Chathams. 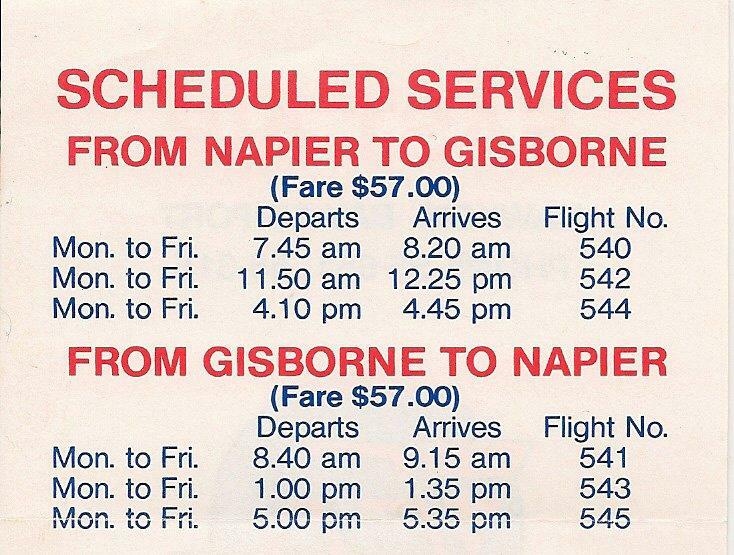 Hopes that the service would grow never eventauted, and there has been a consistently low volume of passenger and freight traffic through Napier over the years. 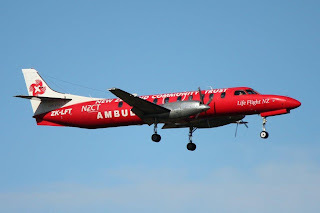 The airline feels it can no longer sustain it, hence the decision to withdraw the service with the forthcoming winter timetable. 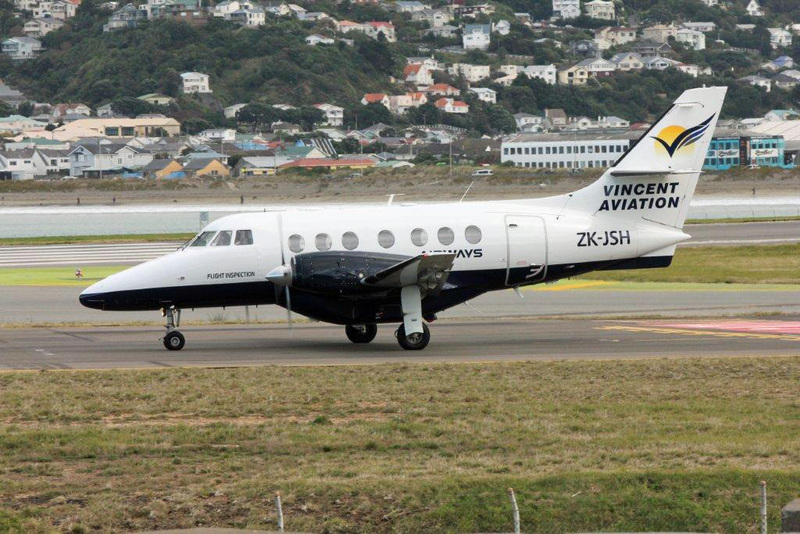 In future the Thursday Air Chathams flight will operate Chathams-Auckland and return direct. 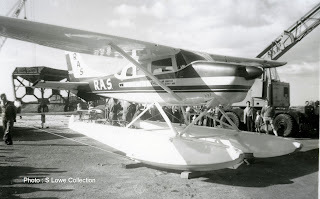 Thanks to Peter Lewis who has sent me a photo of the Ritchie Air Services de Havilland DH82 Tiger Moth ZK-BFM, taken at Invercargill on 22 September 1962, just five weeks before its demise on the 27th of October 1962 on Centre Island in Foveaux Strait. 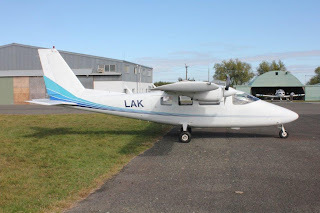 The original post has been updated. 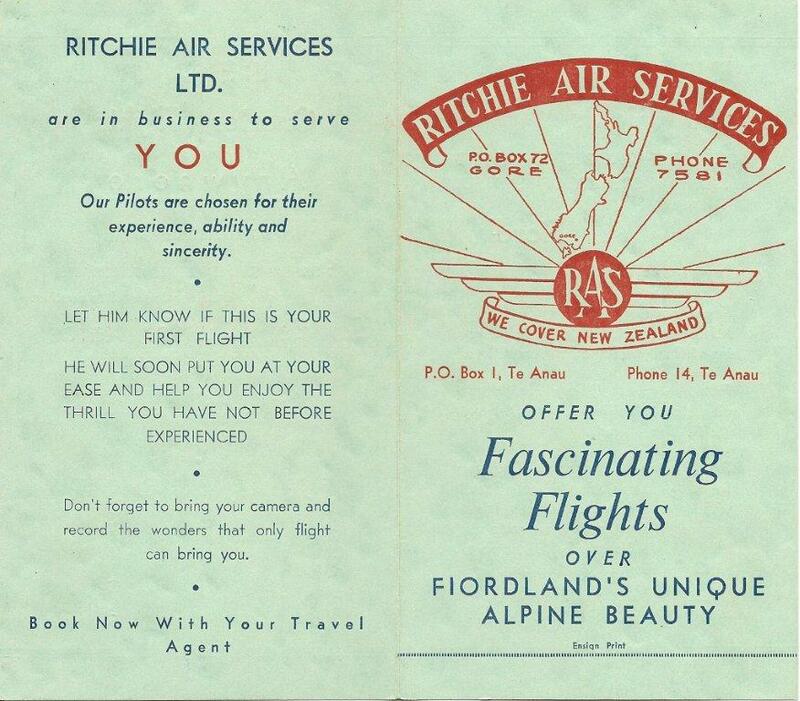 Ian Ritchie was born in 1921 and learnt to fly with the Royal New Zealand Air Force during the Second World War. His war service saw him flying Blenheims, Beaufighters, and later, Mosquitos on night and low-level bombing raids over Germany. After the war he did some part-time commercial flying and instructing. 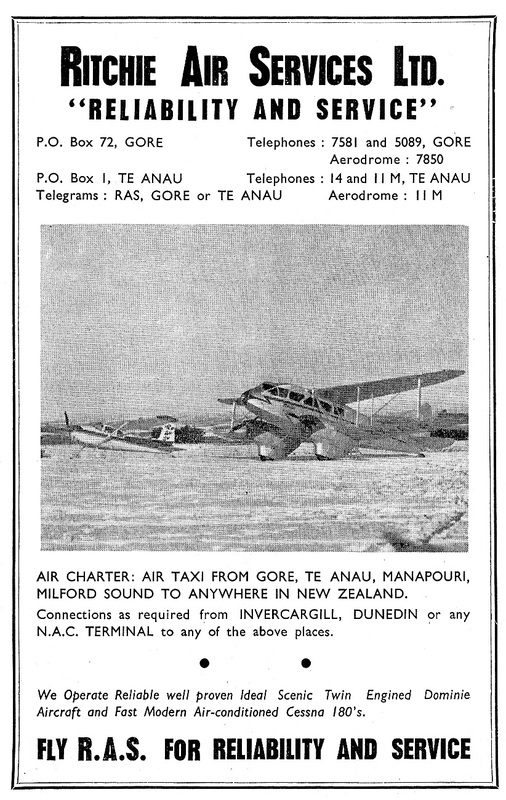 In 1950, in partnership with Ron Bush, he established Gore-based Southland and Otago Aerial Topdressing Ltd. 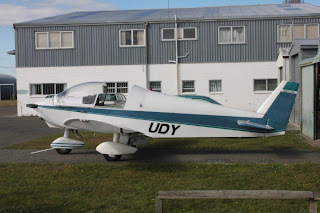 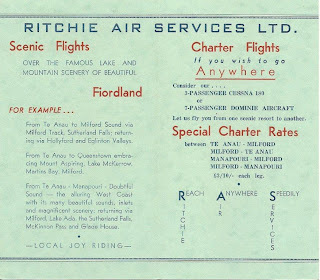 In 1960 he formed Ritchie Air Services which, based in Gore, offered an air transport service as well as operating the first training school for agricultural (topdressing) pilots in New Zealand. Operations started with de Havilland DH82 Tiger Moth, ZK-BFM, and later in 1960 Cessna 180 ZK-BQJ was added to the fleet. 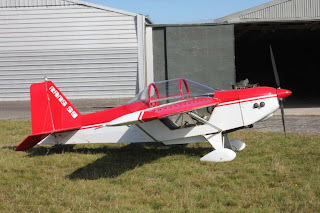 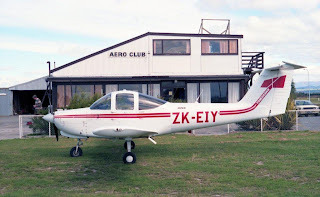 Soon after, the Gore branch of the Southland Aero Club was formed into the Southern Districts Aero Club and Ian Ritchie was its first Chief Flying Instructor. The de Havilland DH82 Tiger Moth ZK-BFM, taken at Invercargill on 22 September 1962, just five weeks before its demise. 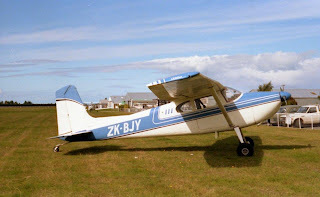 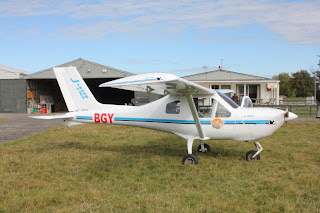 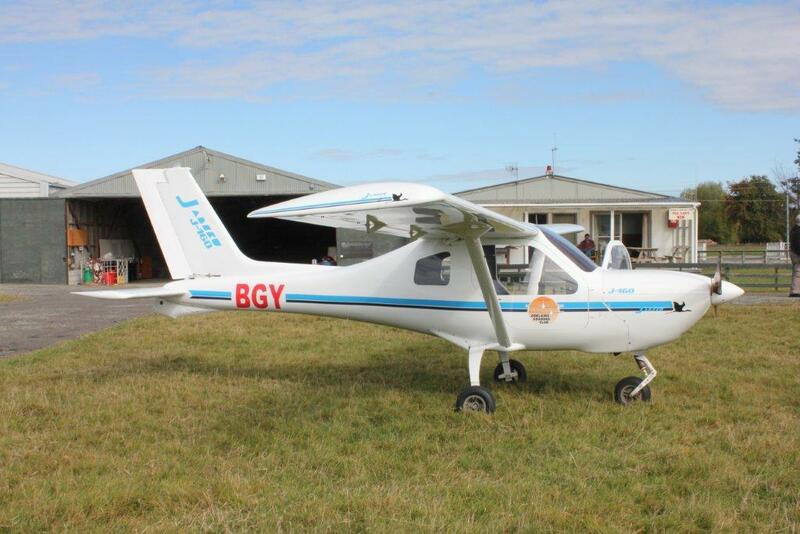 Cessna 180 ZK-BQJ at Invercargill. Photographer unknown. 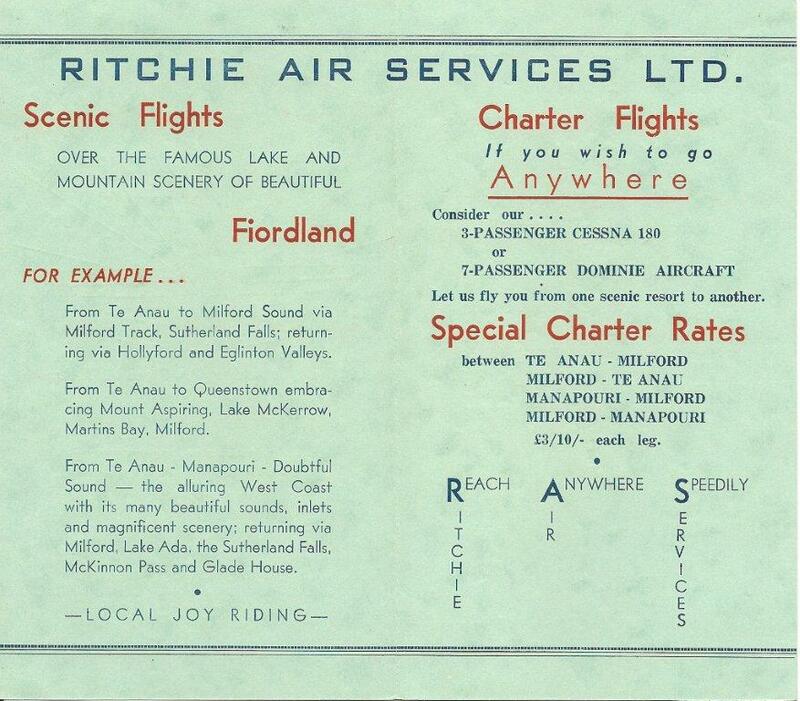 On Labour Weekend 1960 and over the summer of 1960/61 Ritchie Air Services started operating scenic flights from Te Anau. 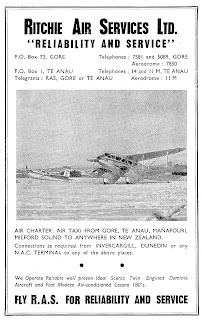 This was the forerunner to the company receiving, in 1961, a licence to operate air charter and air taxi services not only from Gore, but Te Anau, Manapouri and Milford Sound as well. 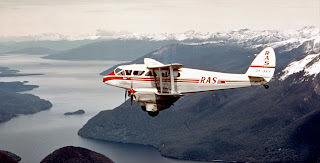 The arrival of the first twin-engine aircraft, de Havilland DH89B Dominie ZK-ALB in July 1961 provided greater capacity and passenger acceptance and regular flights began Te Anau and Milford Sound soon after. 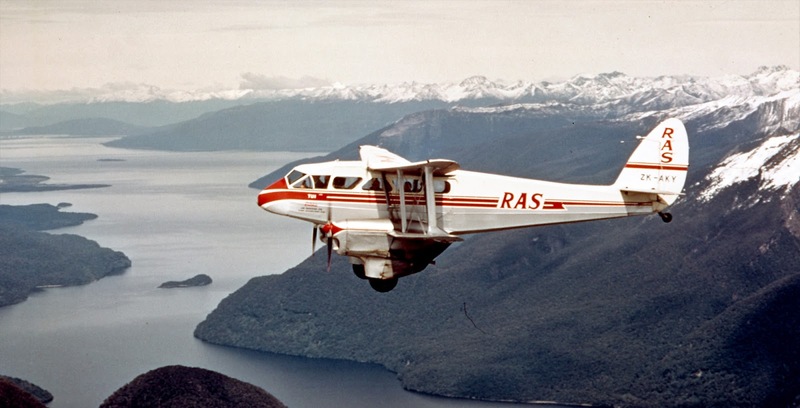 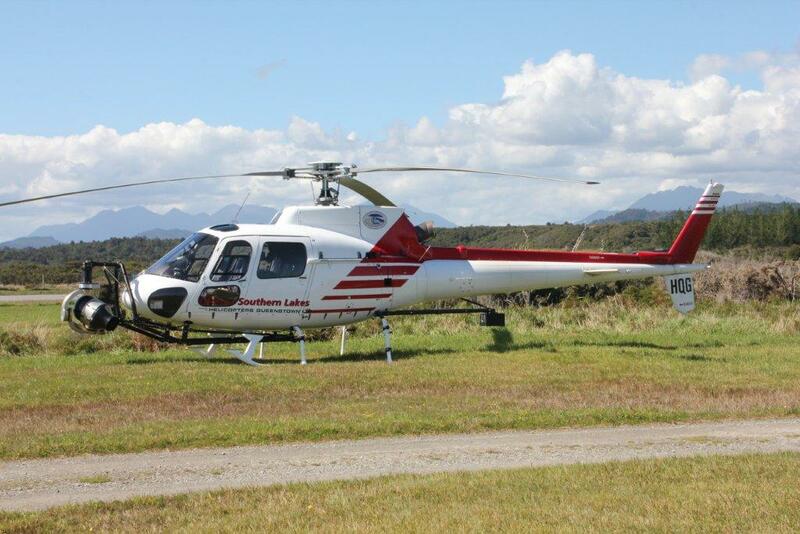 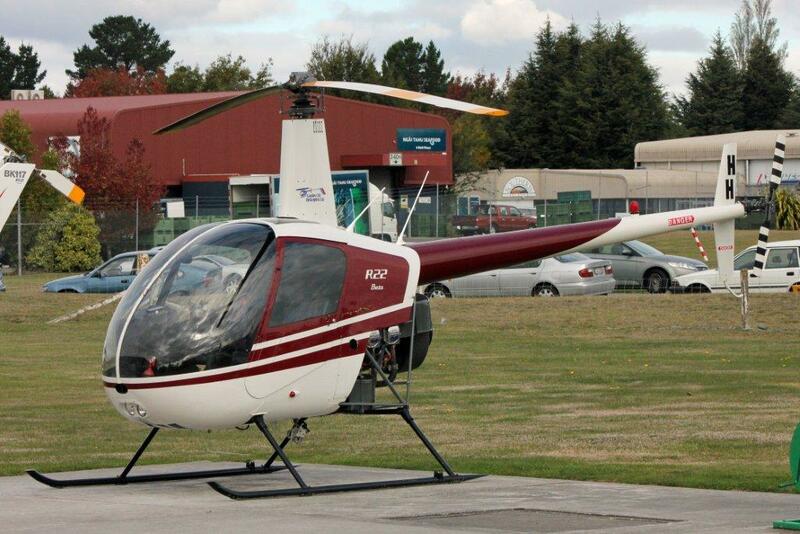 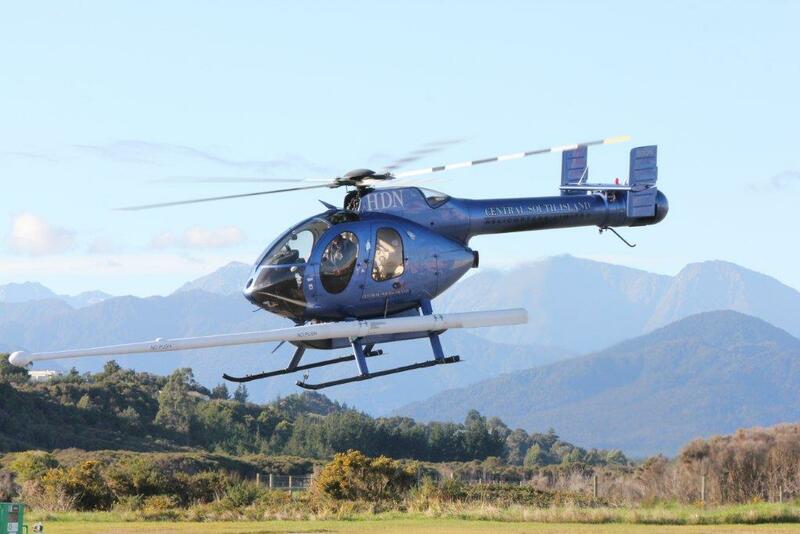 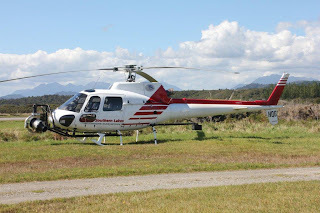 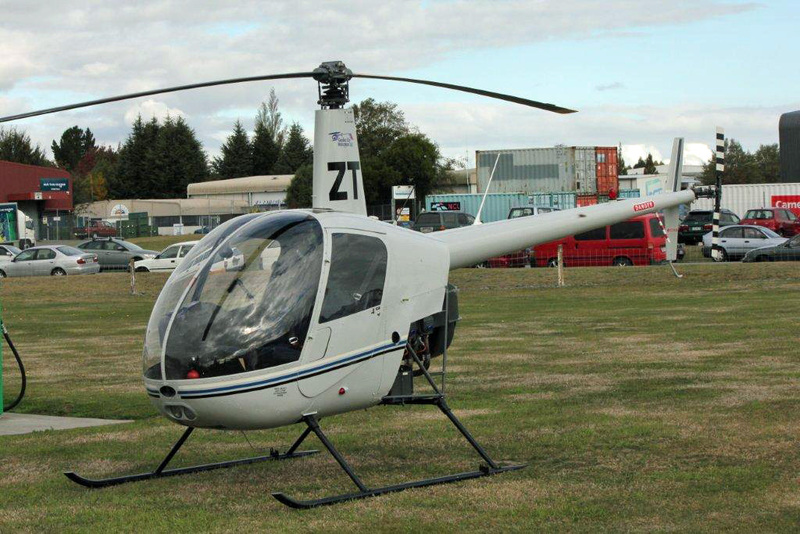 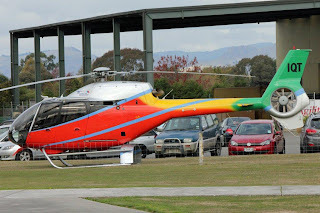 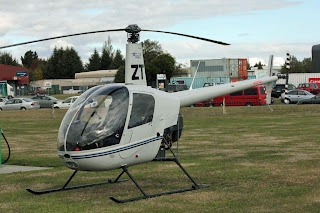 In June 1962 the company’s base was relocated to Te Anau and the tourist flights over the scenic route between Te Anau and Milford Sound became the major feature of the company’s operations. 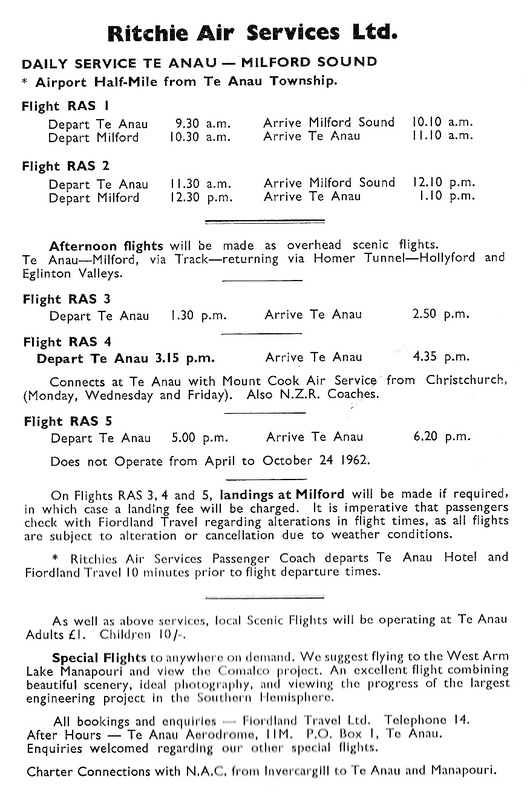 There were timetabled departure times from Te Anau to Milford Sound and return. 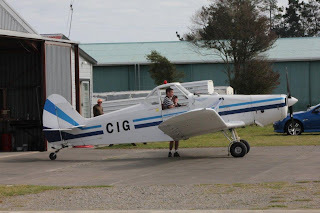 These were primarily tourist flights and were been dependent on loadings and the weather. 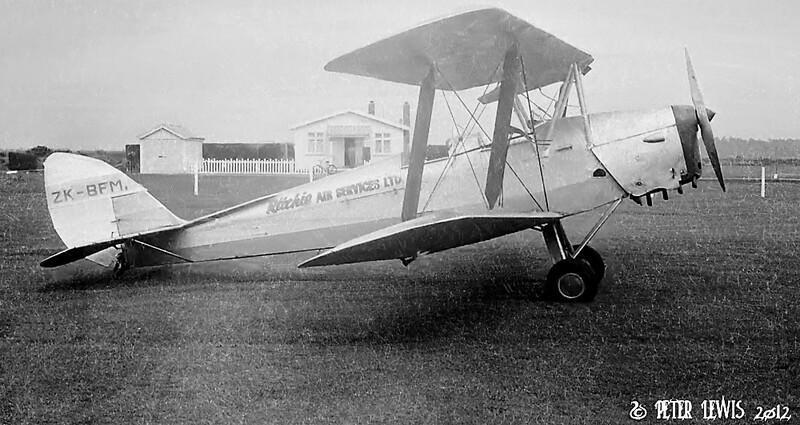 Ritchie Air Services' first de Havilland DH89B Dominie, ZK-ALB. Photographer unknown. De Havilland DH89B Dominie ZK-ALB in a later colour scheme at Christchurch, ca 1968. 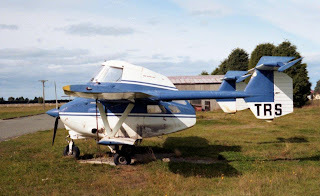 Photographer unknown.. 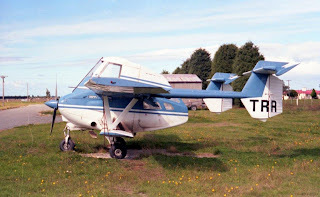 In October 1962 the Tiger Moth was destroyed in an accident at Centre Island in Foveaux Strait. 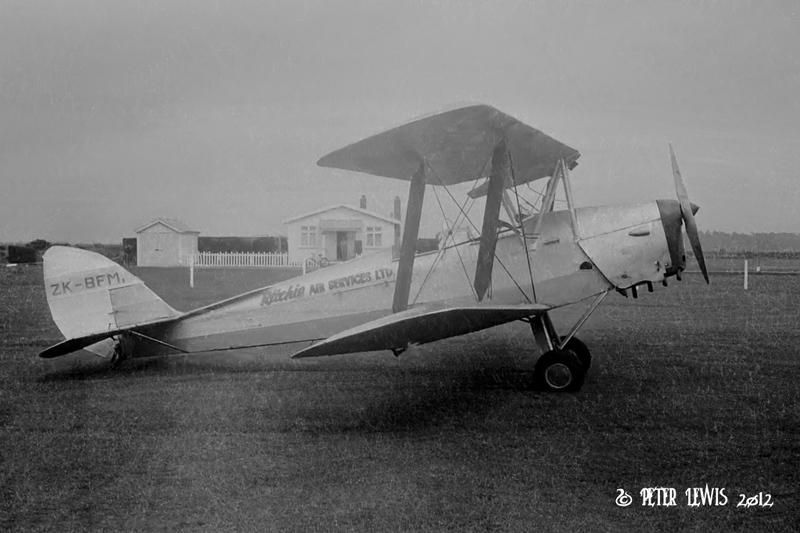 This aircraft was replaced with another Tiger Moth, ZK-BRC, which went on to be part of the Mount Cook Airlines fleet for many years. 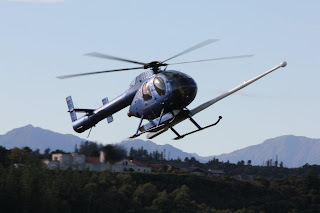 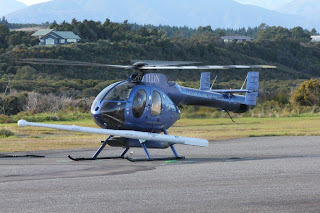 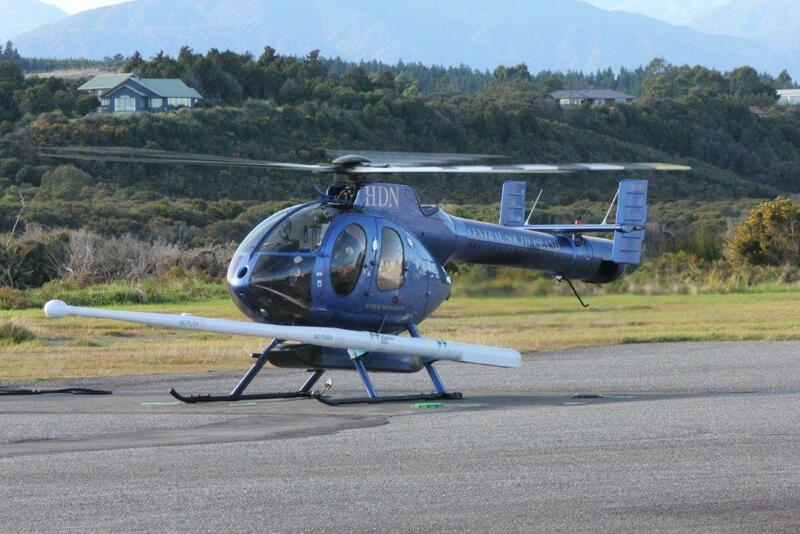 While the scenic flying became the main focus of the airline it continued to remain busy with aerial topdressing, supply dropping and flying whitebait out of the remote West Coast bays. 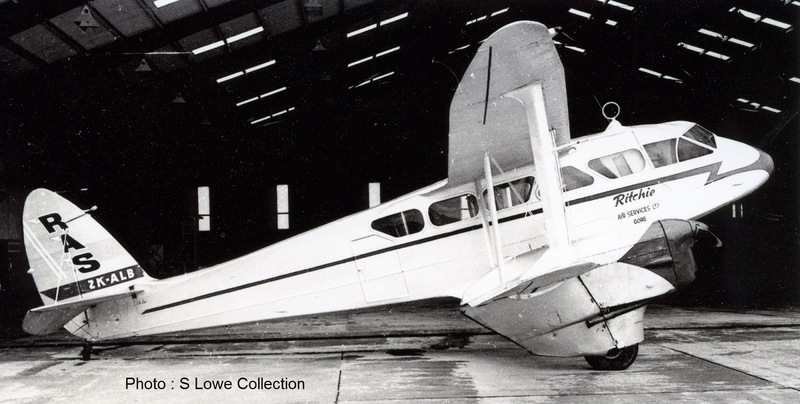 A second de Havilland DH89B Dominie, ZK-AKY, was added to the fleet on the 18th of May 1964. 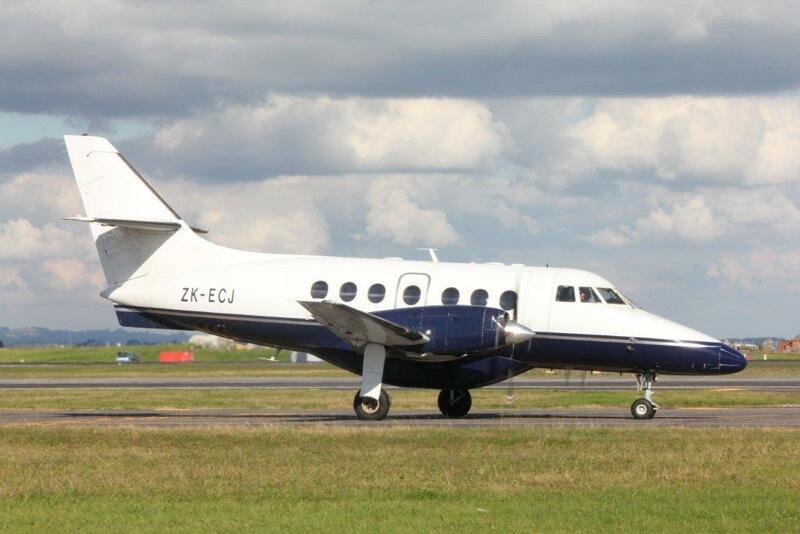 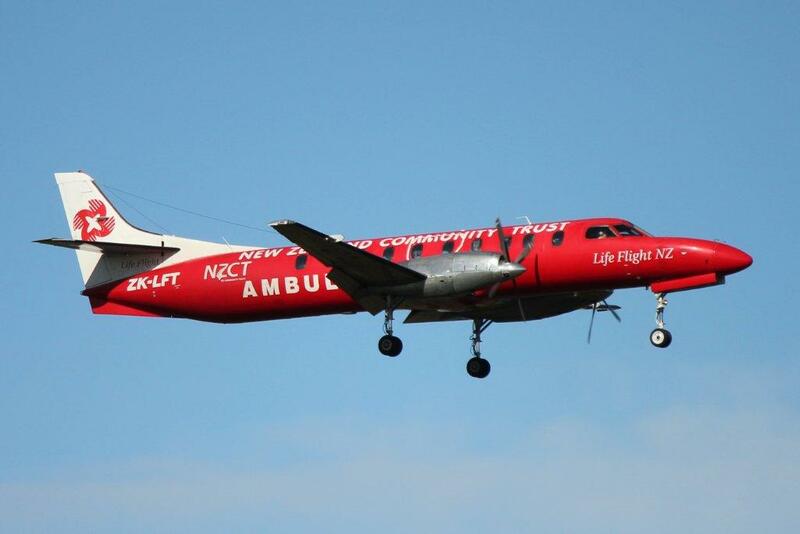 It was sold to Ritchie Air Services by NAC, complete with spares, for the princely sum of £1000 pounds. 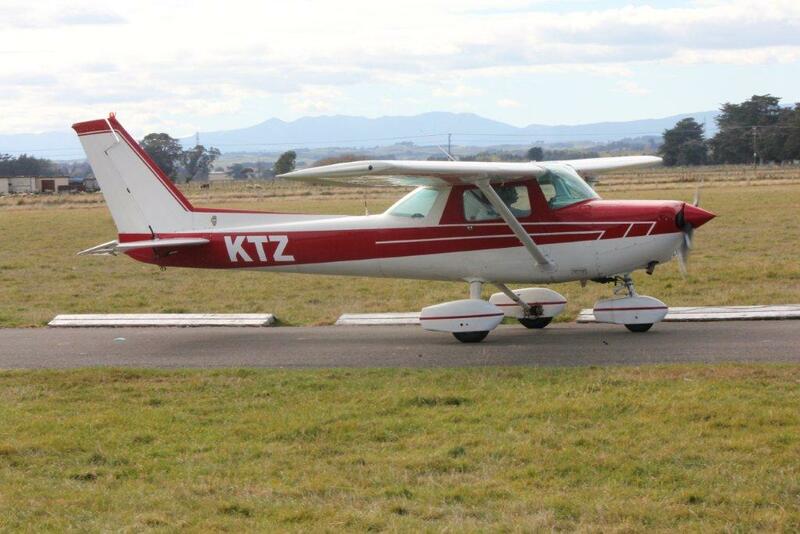 Newly arrived from NAC, Dominie ZK-AKY in NAC colours with Ritchie Air Services titles on a publicity shoot. Photographer unknown. 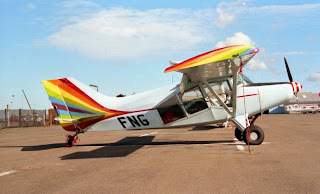 eflecting Ritchie Air Services ownership by Tourist Air Travel Dominie ZK-AKY carriees TAT title on the tail and Ritchie Air Services titles on the fueselage. Photo taken at Dunedin on 8 October 1965. Photographer unknown. 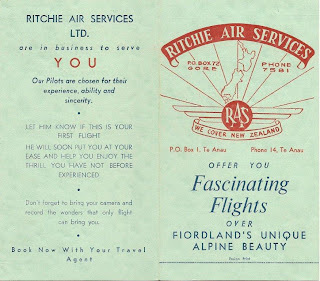 The company merged with NZ Tourist Air Travel Ltd on the 11th of December 1964 but Ian Ritchie continued to run the Ritchie operation as well as being a director of NZ Tourist Air Travel. 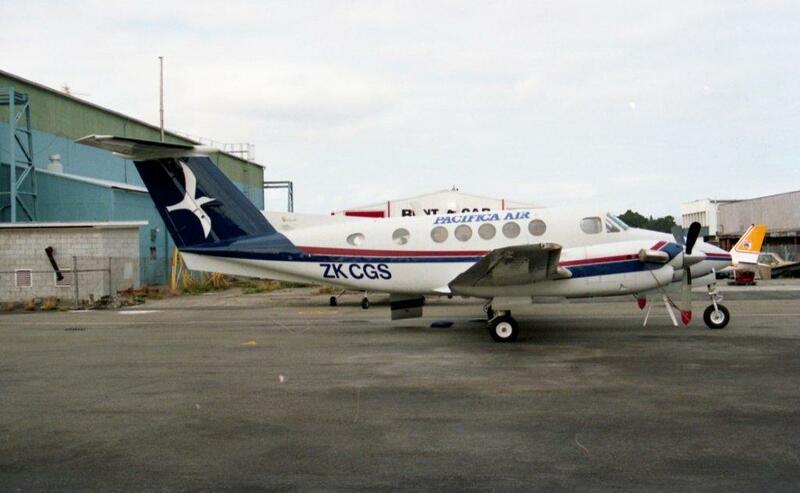 The company also kept its own identity and soon after the merger Cessna 206 Super Skywagon ZK-CHQ was added to the fleet. 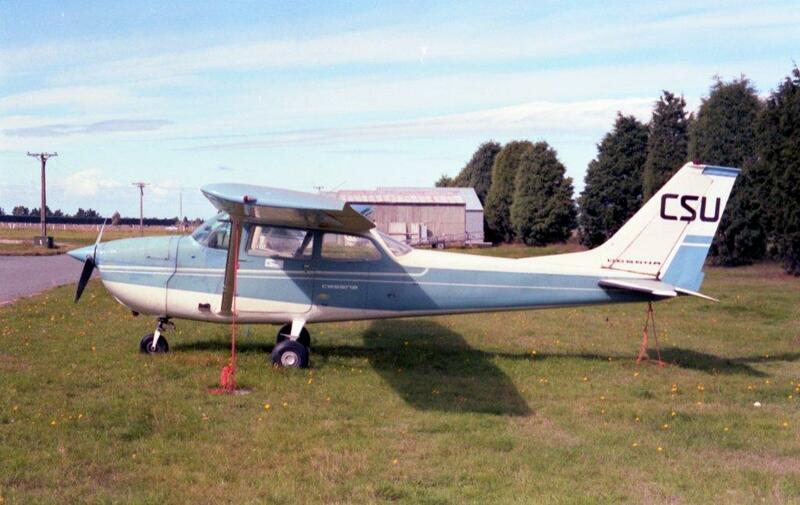 Cessna 206 Super Skywagon ZK-CHQ at New Plymouth for repairs after an unfortunate landing in 1963. 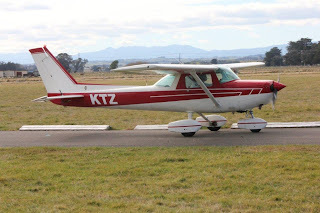 On the 12th of March 1965, the Cessna 180, ZK-BQJ, was on a scenic flight from Te Anau over Milford Sound when it crashed near Gertrude Saddle, Fiordland. Sadly, the pilot and his three passengers were found dead the following day. 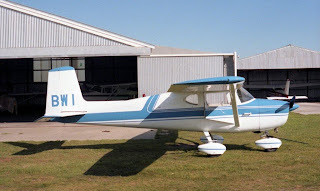 The aircraft was subsequently replaced with another Cessna 180, ZK-BMS. 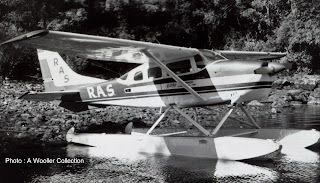 In August 1966 Ian Ritchie severed his links with the operation and joined the Civil Aviation Authority in Wellington. 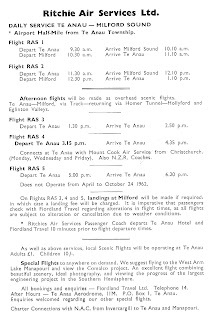 NZ Tourist Air Travel was taken over by the Mount Cook and Southern Lakes Tourist Company Limited on 1 January 1968 and by this time the Ritchie name had all but disappeared. 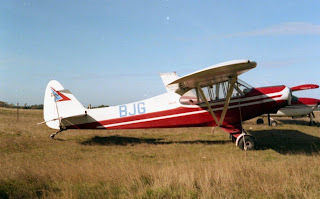 This basis of this post was originally compiled by Bruce Gavin and I have added some more to it.